A 5 year manufacturers warranty comes as standard on all our vehicles. You can also extend this for added peace of mind. On top of the generous 5 year or 100,000 mile Hybrid Battery Extended Cover, customers can benefit from our Hybrid Battery Extended Cover which ensures an additional year or 10,000 miles (whichever comes sooner) of cover. All you have to do is have the Hybrid Health Check conducted as part of an annual service or as a separate check. Hybrid Battery Extended Cover only applies to vehicles up to 15 years old and with no mileage limit (except vehicle used as taxi's or private hire which are covered until they are 5 years old and/or a maximum 100,000 miles. Hybrid Battery Extended Cover will extend Hybrid Battery cover by 1 year of 10,000 miles as long as it takes place before the cars 15th anniversary of first registration. For further information regarding Hybrid warranty visit toyota.co.uk/5yearwarranty. Our Extended Warranty can be taken out on any new, approved used, or used Toyota. Enjoy one of the most comprehensive warranties offered by any car manufacturer from the moment you step into a Toyota. If you can't drive your vehicle because a covered part has failed, you can claim up to 5 days car hire to a maximum of £45 per day (including VAT), after the first 24 hours. If repair or replacement of a protected part takes more than 24 hours from arrival at a Toyota Dealer and you are more than 20 miles from home, our Extended Warranty can pay up to £150 (inc VAT) towards one night's accommodation, including breakfast. If your vehicle fails an MOT, a Toyota Extended Warranty protects against unexpected repair bills. As long as the vehicle is repaired and passes, we will pay for parts and labour, up to the vehicle's purchase price. All you'll pay is the original MOT test fee and the first £10 of any repair costs covered by the Extended Warranty. Any Toyota Dealer or Service Outlet in the UK will carry out repairs with Toyota trained technicians fitting genuine Toyota parts; all included in our Extended Warranty. Vehicles must be serviced and inspected by a Toyota Dealer at least once a year (or more frequently for high mileage drivers), on accordance with the recommended service schedule. Find out more about how to extend your warranty by contacting your local dealer. You've got the car, now get the cover. Insure your Toyota with us and enjoy one of the most comprehensive levels of care available – and at a price you won't find on any comparison website. And it's so easy. Just apply online right now or call us on 0800 350 500 for a quote. 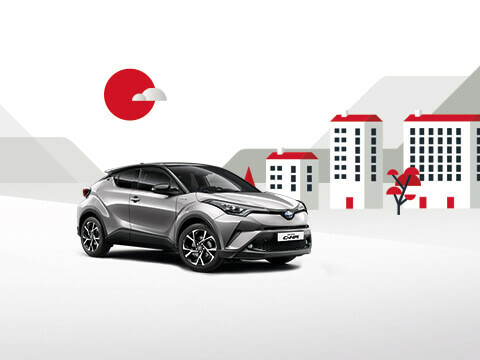 Why choose Toyota motor insurance? In the event of a claim, Toyota trained technicians in approved repair dealers will undertake repairs. All work carried out is guaranteed for 3 years. Our helpful UK based call centres are open 24 hours a day, 365 days a year. Our approved repairs network can start repairs within 48 hour, with a courtesy car provided for the duration. Subject to availability. We provide great value, comprehensive cover, with a wide range of inclusive and optional benefits. Apply online or call 0800 350 500 for a quote. Complimentary comprehensive cover for up to three days whilst driving in the EU, with the option to extend the cover period to 90 days for an additional premium. Unlimited cover for child seats - if you have a child seat fitted in your car and your car is involved in an accident or damaged following fire or theft, we will pay for the cost of a replacement, even if there is no apparent damage. Cover for loss of keys (includes vehicle, house and office keys).